Families are spending more time at home these days and nothing is more enjoyable than spending time together outside! Extending your home and living space to the outdoors is not only going to bring you and your family together more often to create memories but will also add tremendous value and equity to your home! 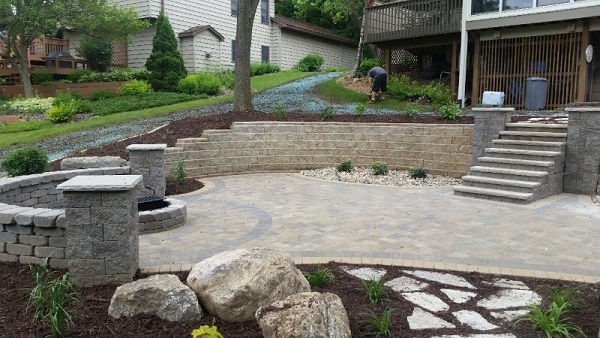 Your Boulder Hills Landscaping, of Hudson and River Falls, landscape design team will listen attentively to your grandess Outdoor Living dreams and communicate closely with you every step of the way to ensure your exact desires are achieved! Our educated, certified and very skilled craftsmen will work efficiently, with the utmost attention to every detail, to create the most stunning Outdoor Living space for your family to enjoy! With the use of industry leading technical equipment, including compaction equipment which exceeds industry standards, you will be confident your investment is being constructed to last a lifetime! 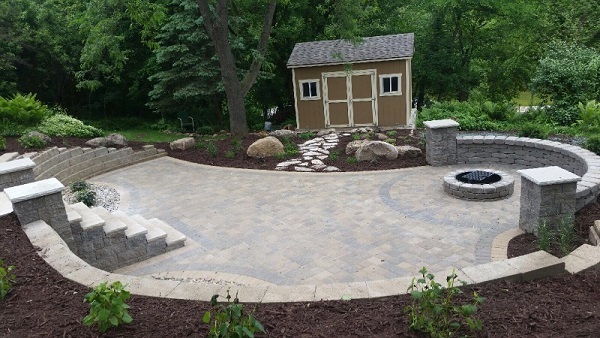 Contact Boulder Hills Landscaping today to invite your Project Manager over to discuss your Outdoor Living dreams; then let the relaxation begin as your every expectation is exceeded!